Do you have a question about Human Resources, management or work in general? Questions from readers are answered regularly. This is a consolidation of reader questions from the past so that all of you can benefit from answers that may fit questions that you have, too. Please note that because of the amount of email received, it is difficult to personally respond to all questions. The questions most likely to receive a response are less personal and more universal in nature. Your questions and the answers need to assist the maximum number of readers. Following is a list of the questions and answers posted, to date, by topic. Readers have many questions about the practice of Human Resources, in general. The answers provided in this section respond to common questions. Can HR Staff Have Friends at Work? Can You Explain How HR Thinks? Do Managers Listen to HR? Have a Successful Career in HR? What's an HR Job Really Like, Strategic or Not? In addition to the general questions about HR, readers ask questions that are specific to starting and succeeding in a career in HR. Do HR Leaders Need a Degree? Expand Career in HR Beyond Current Job? How Can I Transition to HR for a Mid-Career, Mid-Level Job? How to Find a Job in HR? How to Land a Human Resources Job? Pursue a Career Change Within the HR Department? Qualified for an HR Job With a Two Year Degree? Start in HR Above Entry Level When Experienced in Other Fields? Transition into HR for a Mid-Career, Mid-Level Job? Transition to a Career in HR? Readers ask many questions that are related to compensation because compensation in many organizations is never explained. This makes it a "not to be talked about" conversation so readers turn for advice. Ask for a Pay Raise at His Troubled Company? Ask for a Promised Raise? How Do You Compensate Exempt Employees for Overnight and Weekend Travel? How to Handle Pay for Two Week's Notice When an Employee Resigns? Late Performance Evaluation So No Raise? Frequently, readers ask questions that have to do with making progress in their careers. Career progress is a popular topic as it means more money, power, and satisfaction for many people. How to Get a Promotion in Current Company Instead of Leaving? How to Prep for an Internal Job Interview? Resignation Letter, Sincerity About Reasons, or Not? What Can You Hope to Accomplish by Including It in Your Resignation Letter? How does a reader approach various situations that require discipline? Discipline is a tricky subject for many employers because it is fraught with legal implications. They also want to treat employees fairly and with professionalism. Fire an Employee Who Has a Poisonous Attitude? Put an Employee on a Performance Improvement Plan (PIP): Correctly and Effectively? How to effectively manage and interact with employees receives a lot of attention from readers. They want to identify the most effective ways to respond to various situations. How to Manage an Employee Performance Challenge (Entitled, Burdened)? Performance Appraisal Systems That Rank, Rate, and Artificially Limit? Respond to an Employee Who Says He Is Job Searching? Unfair: Changed Rating in Performance Review? What Can Be Done About Bullying That Doesn't Meet the Legal Definition of Hostile? Many questions relate to the experience of employers in trying to recruit, interview, and select candidates for their open jobs. 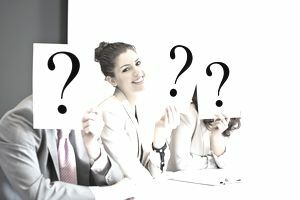 These questions also relate to how organizations carry out the process of recruiting and hiring employees. Manager of the New Employee Was Not Included in the Hiring Process? Are Group Interviews More Effective Than One-on-Ones? Acknowledge Receipt of Job Applications? Interpersonal relationships and how to most effectively pursue managing them are covered by these answers to the questions of the HR content readers. Are Coworkers Negative About Non-Drinkers? Can Coworker's Documentation of Her Every Action Hurt Her? Can She Discuss With Coworker How His Competitiveness About All Work Is Making Them Look and Affecting Performance? Deal With an Employer Who Tracks Employee Minutes? Deal With Coworker's Harassing Behavior? Employee Won't Trust Coworkers Enough to Share Work? What Can You Do When Bullying Morphs Into Mobbing? These are questions and answers that readers have about how to most effectively search for a job. The current job market is a candidate's market but it has not always been this way, and undoubtedly, this will change again in the future. Can Employers Ask Your Age? Can Employers Legally Ask for My Social Security Number on the Job Application? How to Get Past the HR Gatekeeper When Applying for Jobs? Let the Potential Employer Know Dates of Interview Availability? What to Tell Potential Employers About Being Terminated From Their Last Job? These questions and answers relate directly to how HR professionals can best perform their jobs. Especially in a business climate that is beset by frequent threats of litigation, HR staff need nondiscriminatory, professionally appropriate approaches to handling most situations people experience at work. Grounds for a Hostile Work Environment Lawsuit? How to Control Intermittent FMLA Use and Abuse? How to Create a Procedure Manual? How to Make a Monthly Employee Recognition Program Effective? How to Do HR Business Planning? Re-establish and Rewrite Particularly Detailed Dress Code? Stay Up-to-Date on Changing Employment Laws and Regulations? When Do You Notify Coworkers That an Employee Has Resigned? Workforce training, education, and development questions and answers are needed by employers. They realize that the ability to grow their skills and career is a key factor in how and why organizations retain their employees. Differentiate Skills and Abilities in a KSA (Knowledge, Skills, and Abilities) Assessment? Employers have many questions about when and how to make policy. Most workplaces have too many policies. This is because employers make policies to address the bad behavior of a few employees rather than addressing the behavior of the outlying employees individually. Can Former Employer Access His Company Email Legally After He Was Fired? Deal With Visible Employee Underwear? Did Employee Violate Company Expense Policy by Traveling With Her Pet? Discuss Personnel Issues Via Email? Do You Recommend Flexible Hours as Your Work Schedule for Employees? Employee Handbooks Required by Law? Employees Selling Food at Work? How Should an Open Door Policy Work: Really? Jobs Without Titles: Pros and Cons? Should Employees Share Rooms on Business Trips? Disclaimer: Please note that the information provided, while authoritative, is not guaranteed for accuracy and legality. The site is read by a world-wide audience and ​employment laws and regulations vary from state to state and country to country. Please seek legal assistance, or assistance from State, Federal, or International governmental resources, to make certain your legal interpretation and decisions are correct for your location. This information is provided for guidance, ideas, and assistance. How Do You Stay Up-to-Date on Changing HR Laws and Regulations? When a Manager Belittles a New Employee, What Should She Do? How Can a Person Transition into HR for a Mid Level Career? Are You Qualified for an HR Manager Job With Only a 2 Year Degree?